As production of the European specification Nissan GT-R begins in its Tochigi plant in Japan this month, a raft of small but significant changes have been made to the car as part of its kaizen – continuous improvement – philosophy. The GT-R’s hand-built 3.8-litre V6 twin-turbo engine has gained 5PS thanks to some fine tuning of its electronics, taking power output to 485PS, while torque remains unchanged at 588Nm. Additionally, Dunlop SP Sport 600 DSST tyres will be fitted as standard. 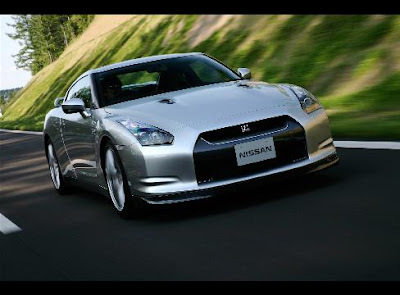 The tyre was developed specifically for the GT-R and it combines grip and durability, as demonstrated during its ‘time-attack’ lap of the Nurburgring, which yielded a time of 7 minutes 29 seconds. And, just to improve the ride performance even further a modification has been carried out to the suspension spring rate settings. Another update sees the introduction of the Gun Metal grey coloured Rays seven-spoke alloy wheel design for the standard and Premium Edition GT-Rs, while the Black Edition will be fitted with the same design but, appropriately, in black. Additionally, customers can now choose a new pearl white called ‘Storm’ as an exterior colour – an eye-catching, deep white replacing the original pearl white which had a slightly darker shade. For customers ordering now, the price of the GT-R will start from £56,795 on the road with an increase of £1300 for the Premium Edition (£58,095) and another £1300 for the Black Edition (£59,395). This represents an increase of 3.8 percent. Deliveries of the GT-R will begin in April through a network of Nissan High Performance Centres, where customers will have contact with highly-trained staff who share their enthusiasm for the GT-R’s unique blend of accessible performance, striking design and state-of-the-art technology. To date, Nissan has taken in excess of 2500 customer orders in Europe with 1200 coming from the UK. Any new customer orders should expect delivery in mid 2010.